Download Avant Browser from FileHippo or Majorgeeks or http://www.avantbrowser.com/. Copyright © 1999-2010, Avant Force. This End-User License Agreement (“EULA”) is a legal agreement between you (either an individual or a single entity, “You”, “User”) and Avant Force, owner (“us” or “we” or “Avant” or “our”) of the Avant Browser and related software (collectively, the “Avant Software”). By installing, copying, or otherwise using the Avant Software, you agree to be bound by the terms of this EULA. If you do not agree to the terms of this EULA, you may not use or install the Avant Software. The Avant Software and related website are protected by copyright laws and international copyright treaties, as well as other intellectual property laws and treaties. All intellectual property rights such as, but not limited to, patents, trademarks, copyrights or trade secrets are the sole property of Avant and any goodwill resulting from your use of the Avant Software shall inure to the benefit of Avant. The Avant Software is licensed to you on limited, revocable and non-exclusive basis. You may not sell, rent, lease or sublicense the Avant Software without the express written consent of Avant Force. 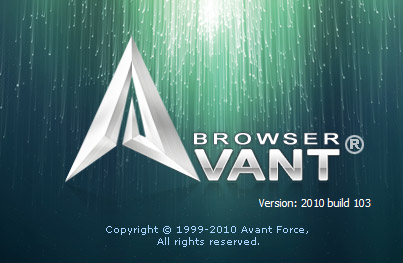 The AVANT SOFTWARE is a freeware web browser. It allows you to store bookmarks and web passwords directly on the Avant Software server. This means you can locate your bookmarks and passwords on our server at any time. However, our servers do not collect any personal information from you other than your passwords (see Privacy Statement below). By downloading and using the Avant Software you will be granted a limited, freely revocable, non-exclusive license to download and use the Avant Software. You may not transfer, sell, assign or otherwise sublicense this license. 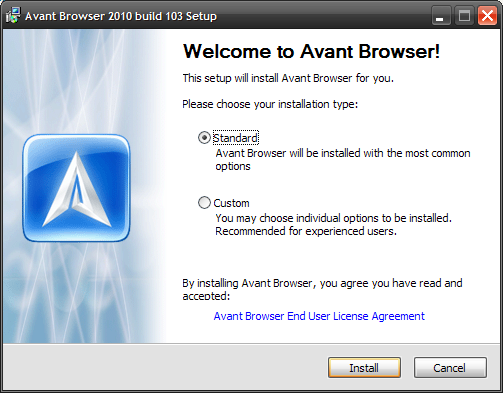 You may download and install the Avant Software an unlimited amount of times; however, each new download will be governed by a EULA that may or may not be unique to each download. As such, it is your responsibility to carefully read every EULA associated with each download of the Avant Software. 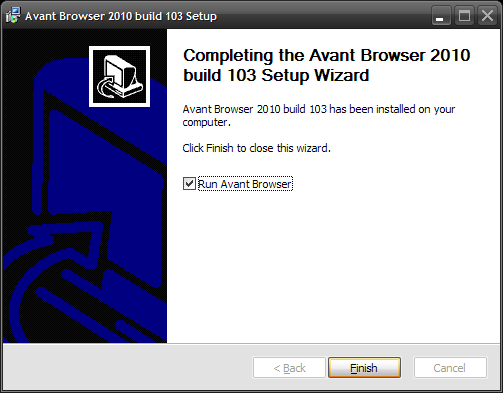 The AVANT SOFTWARE is licensed as a single product. Its component parts may not be separated for use on more than one computer. 3. FURTHER LIMITATIONS ON RIGHTS. You may not modify, translate, Reverse Engineer, Decompile, Disassemble or attempt to discover the source code of the Avant Software. You may not reverse engineer, decompile, or disassemble the AVANT SOFTWARE. You may not remove, alter or destroy any proprietary, trademark or copyright notices placed on or contained in the Avant Software. Without prejudice to any other rights, the owner of the Avant Software may terminate this EULA if you fail to comply with the terms and conditions herein. In such event, you must immediately uninstall and destroy all copies of the AVANT SOFTWARE and all of its component parts. Additionally, if you registered with Avant Online Storage and do not actively access your bookmarks and passwords within a 6 month period, you account may be permanently deleted for inaction. All title and copyrights in and to the AVANT SOFTWARE (including but not limited to any images, photographs, animations, video, audio, music, text, and “applets” incorporated into the AVANT SOFTWARE), the accompanying printed materials, and any copies of the AVANT SOFTWARE are owned by Avant. You may make only one copy solely for backup or archival purposes. You use this software at your own risk. 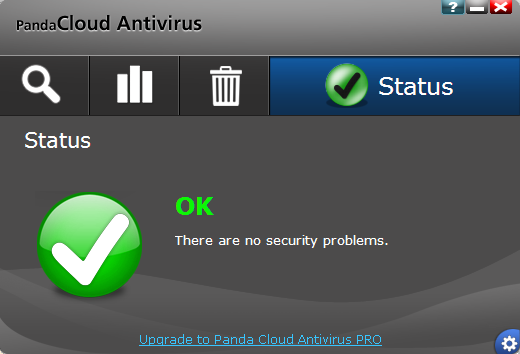 Avant expressly disclaims any warranty for the AVANT SOFTWARE. The AVANT SOFTWARE and any related documentation is provided “as is” without warranty of any kind, either express or implied, including, without limitation, the implied warranties or merchantability, fitness for a particular purpose, or non-infringement and lack of viruses. We are not responsible for lost or stolen information. In short, the entire risk arising out of use or performance of the AVANT SOFTWARE remains with you. 7. NO LIABILITY FOR DAMAGES. In no event shall Avant be liable for any damages whatsoever (including, without limitation, damages for loss of business profits, business interruption, loss of business information, pecuniary loss, or other indirect, incidental, special or consequential damages) arising out of the use of or inability to use this product, even if the owner of this Software has been advised of the possibility of such damages. Because some states/jurisdictions do not allow the exclusion or limitation of liability for consequential or incidental damages, the above limitation may not apply to you. This EULA may be modified from time to time in Avant’s sole and absolute discretion. Each new download of the Avant Software constitutes your acceptance of any revised EULA accompanying the download. Avant Software can be removed from user’s computer by “Add or Remove Programs”, wich can be found in the Control Panel of Windows. Any notices, questions or comments regarding the Avant Software or any other Avant products or services shall be directed to the following email address: support@avantbrowser.com. PLEASE READ THIS DOCUMENT CAREFULLY BEFORE FIRST USING THE BELARC ADVISOR. THIS AGREEMENT PROVIDES IMPORTANT INFORMATION CONCERNING THE BELARC ADVISOR, PROVIDES YOU WITH A LICENSE TO USE THE BELARC ADVISOR AND CONTAINS WARRANTY AND LIABILITY INFORMATION. 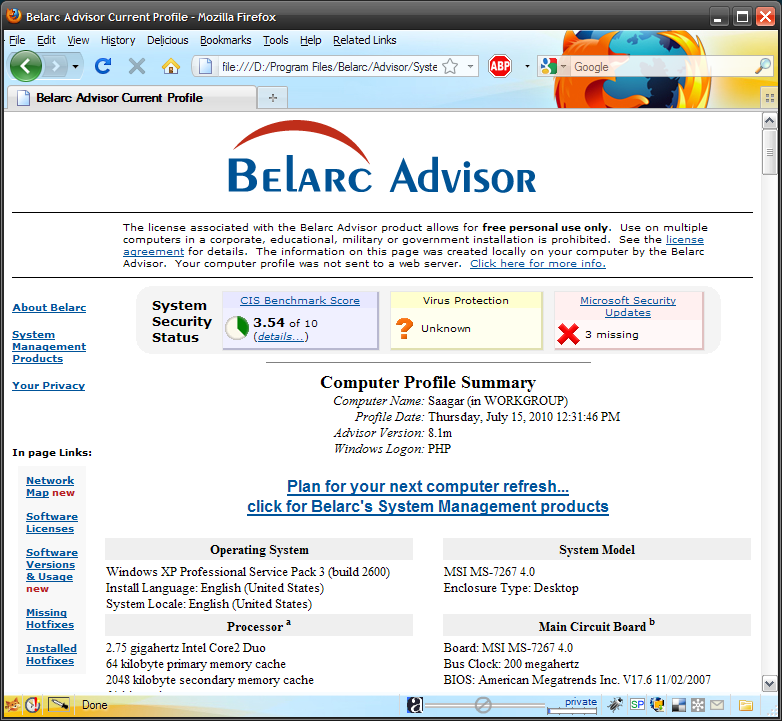 TO ACCEPT THIS AGREEMENT AND INSTALL THE BELARC ADVISOR, SELECT THE “I Agree” BUTTON AT THE BOTTOM OF THE PAGE. 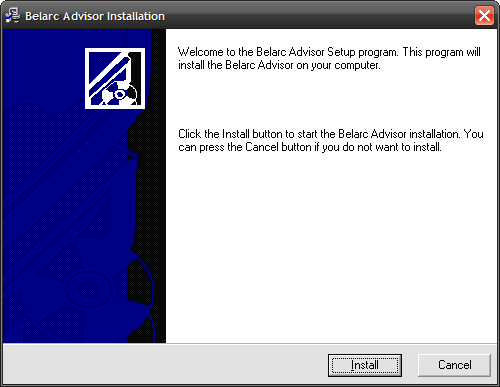 TO CANCEL AND NOT INSTALL THE BELARC ADVISOR, SELECT THE “I Don’t Agree” BUTTON. The Belarc Advisor (“Advisor”) is a unique application that works with your Internet browser. It automatically shows your installed software and hardware. This Advisor is for personal use only. The Advisor, or any output from it, may not be used for commercial, educational or government purposes or to aggregate information about multiple computers. 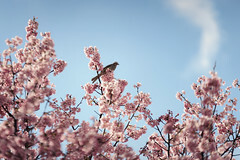 Licensing information for those purposes is available at http://www.belarc.com or by calling Belarc at +1-978-461-1103. for profit, distribute or create derivative works based upon the Advisor. International Copyrights, are reserved by Belarc. THE ABOVE EXCLUSION MAY NOT APPLY TO YOU. YOU MAY ALSO HAVE OTHER LEGAL RIGHTS WHICH VARY FROM STATE TO STATE. MAY NOT APPLY TO YOU. The limited warranty, exclusive remedies and limited liability set forth above are fundamental elements of the basis of the bargain between Belarc and you. You agree that Belarc would not be able to provide the Advisor on an economic basis without such limitations. 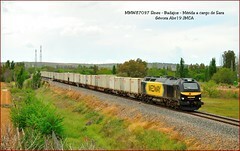 Belarc and Belarc Advisor are trademarks or registered trademarks of Belarc, Inc. U.S. Patents 6085229, 5665951 and Patents Pending. NOTICE TO USERS: CAREFULLY READ THE FOLLOWING LEGAL AGREEMENT. 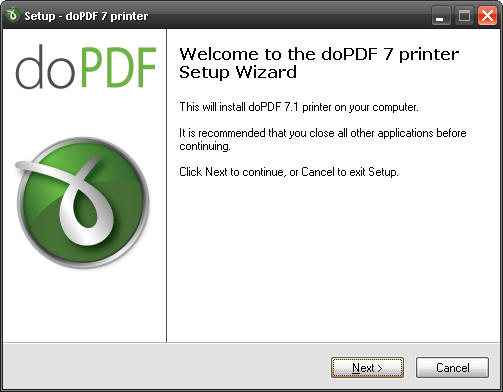 USE OF doPDF Printer (the “SOFTWARE”) PROVIDED WITH THIS AGREEMENT CONSTITUTES YOUR ACCEPTANCE OF THESE TERMS. IF YOU DO NOT AGREE TO THE TERMS OF THIS AGREEMENT, DO NOT INSTALL AND/OR USE THIS SOFTWARE. USER’S USE OF THIS SOFTWARE IS CONDITIONED UPON COMPLIANCE BY USER WITH THE TERMS OF THIS AGREEMENT. This EULA grants you the right to store, load, install, execute or display unlimited copies of the SOFTWARE on your DEVICES. DEVICE means a computer, information appliance, peripheral or gadget. DEVICE must be wholly owned, rented or leased by you. “You” means the company, entity or individual who received the SOFTWARE. “Computer” must be wholly owned, rented or leased by you. You may not modify the SOFTWARE or disable features of the SOFTWARE except as an intended part of the SOFTWARE’s programming features. You may not rent, lease, sub-license, transfer or sell the SOFTWARE. You agree not to modify, adapt, translate, reverse engineer, decompile, disassemble or otherwise attempt to discover the source code of the SOFTWARE. You may not alter or modify the installer program or create a new installer for the SOFTWARE. 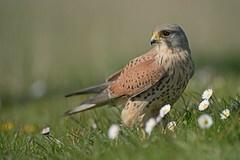 This SOFTWARE is free for personal or commercial use. When you obtain a copy of the SOFTWARE, you are granted an unlimited usage period. You are expected to use the SOFTWARE on your system and to thoroughly evaluate its usefulness and functionality. This approach is the ultimate guarantee that the SOFTWARE will perform to your satisfaction; therefore, you understand and agree that there is no compensation policy for the malfunction of the SOFTWARE. The SOFTWARE is owned and copyrighted by SOFTLAND. This license confers no title or ownership of the SOFTWARE and should not be construed as a grant of any right in the SOFTWARE. 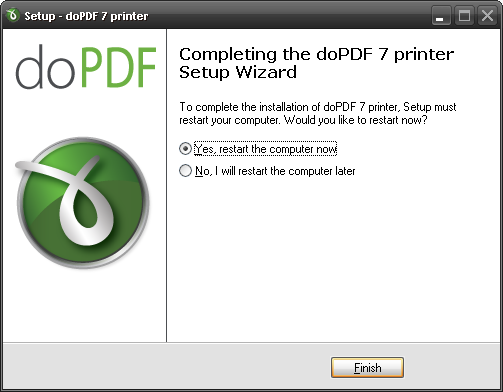 You may make and distribute unlimited copies of the SOFTWARE, as long as each copy that you make and distribute contains this agreement, the SOFTLAND doPDF Printer installer, and the same copyright and other proprietary notices pertaining to this SOFTWARE. If you download the SOFTWARE from the Internet or similar on-line source, you must include the SOFTLAND copyright notice for the SOFTWARE with any on-line distribution and on any media you distribute that includes the SOFTWARE. You are not allowed to integrate the SOFTWARE in your applications or services. Some fonts are subject to a license granted by the owner of the font. This license may provide that the font may NOT be embedded or otherwise distributed without a license from the font owner. Users of the SOFTWARE are responsible for obtaining the necessary license from the owner of the aforementioned fonts if the user wishes to embed them. Failure to obtain the necessary licenses may expose the user to legal claims by the owners of these fonts. SOFTLAND and its suppliers assume no responsibility for such claims. Copyright (C) 1991-1998, Thomas G. Lane. The SOFTWARE and all rights are owned by SOFTLAND and/or its suppliers and are protected by copyright law and international copyright treaties. You acknowledge that no title to the intellectual property in the SOFTWARE is transferred to you. You further acknowledge that title and full ownership rights to the SOFTWARE will remain the exclusive property of SOFTLAND and you will not acquire any rights to the SOFTWARE except as expressly set forth in this license. The License is in effect until terminated. You may terminate this License at any time by ceasing any and all use of the SOFTWARE, and deleting or destroying the SOFTWARE. This agreement shall terminate automatically upon breach of any term of this agreement. Upon termination you shall destroy all copies of the SOFTWARE. Sections titled “Ownership”, “Restrictions”, “Copyright”, “No Warranty, No Liability”, “Governing Law” and “Entire Agreement” shall survive any termination of this agreement. SOFTLAND AND ITS SUPPLIERS DO NOT AND CANNOT WARRANT THE PERFORMANCE OR RESULTS YOU MAY OBTAIN BY USING THE SOFTWARE OR DOCUMENTATION. 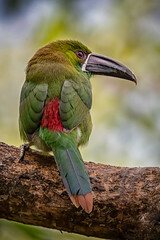 SOFTLAND AND ITS SUPPLIERS MAKE NO WARRANTIES, EXPRESS OR IMPLIED, AS TO NONINFRINGEMENT OF THIRD PARTY RIGHTS, MERCHANTABILITY, OR FITNESS FOR ANY PARTICULAR PURPOSE. IN NO EVENT WILL SOFTLAND OR ITS SUPPLIERS BE LIABLE TO YOU FOR ANY CONSEQUENTIAL, INCIDENTAL OR SPECIAL DAMAGES, INCLUDING ANY LOST PROFITS OR LOST SAVINGS, EVEN IF A SOFTLAND REPRESENTATIVE HAS BEEN ADVISED OF THE POSSIBILITY OF SUCH DAMAGES, OR FOR ANY CLAIM BY ANY THIRD PARTY. YOU HEREBY ASSUME THE ENTIRE RISK OF ALL USE OF THE COPIES OF SOFTWARE COVERED BY THIS LICENSE. This agreement is governed by the laws of Romania. Any claim, dispute or controversy with respect to, in connection with or arising out of this agreement shall be subject to and decided by arbitration in the City of Cluj-Napoca, County of Cluj, Romania. If any part of this agreement is found void and unenforceable by a court of competent jurisdiction, it will not affect the validity of the balance of the agreement, which shall remain valid and enforceable according to its terms. This agreement is the final, complete and exclusive agreement between you and SOFTLAND that supersedes any prior agreement or understanding, whether written or oral, relating to the subject matter of this license. Copyright © 2006-2010 Softland. All rights reserved.